Starting today, Leap Frog is having a huge Friends & Family sale. You can get up to 20% off sitewide, including currently discounted items! Use promo code LFFRIENDS at checkout to get the 20% off. Offer valid 9/23 through 9/28 only! 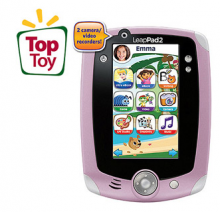 Offers Sep 23, 2010 in kids, LeapFrog · Expired! I got a great deal on the Leapfrog Tag Jr. book, “Springtime Surprise” at Target. They had a ton of these books at 50% off, marked down to $2.49. I used the $2/1 Tag Jr. book and got this cute book for .49 cents. Before you head out to Target, grab your Leap Frog coupons!